This is week two of my six-week adventure with Anolon products. 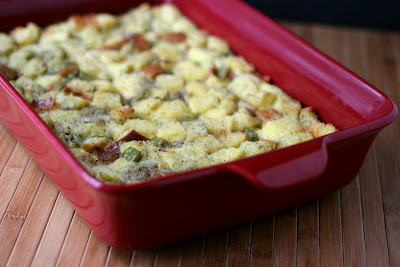 The theme for the week is Signature Sides, and if there's one side dish that I absolutely love for Thanksgiving, it's stuffing. Or dressing, since I usually cook it outside the turkey these days. 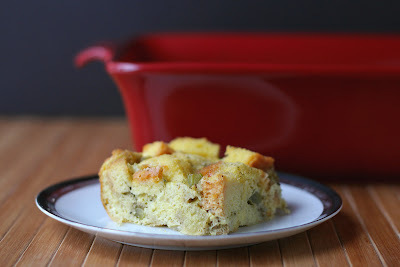 But of course I had to put a crazy twist on it and turn it into bread pudding. It makes sense. Bread pudding is so much more luscious and decadent than most stuffings. The RECIPE for this is on the Anolon site, waiting for you. Go, click look! But I'm not done teasing you. Not quite yet. 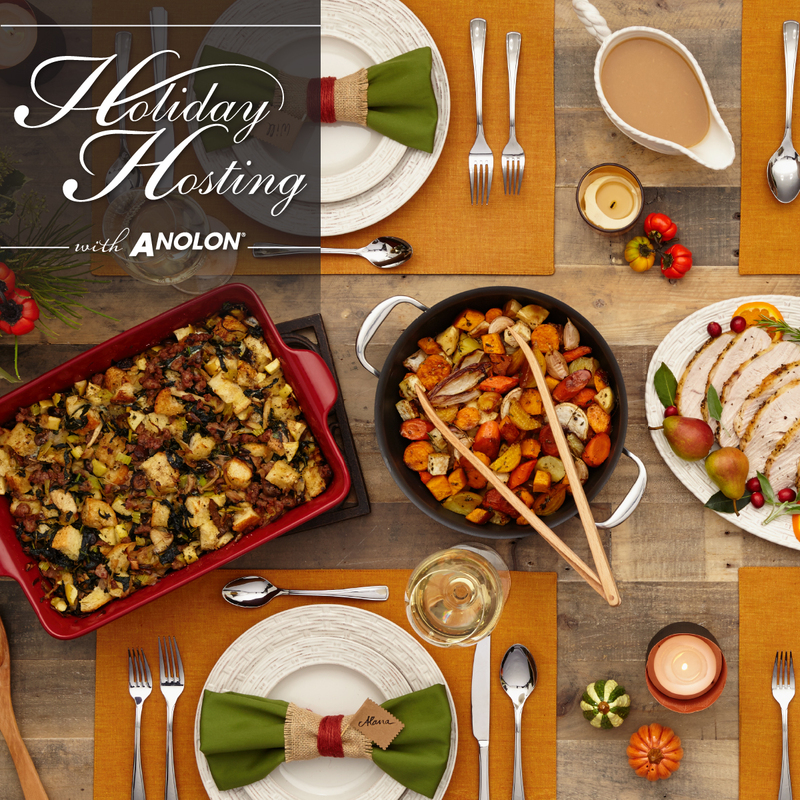 I received six different Anolon products in order to create recipes using them, and I have ALL SIX Anolon items to give away. The same ones I got. And I'm giving all six to ONE PERSON. Isn't that AWESOME??? I really loved this 9x13 pan. 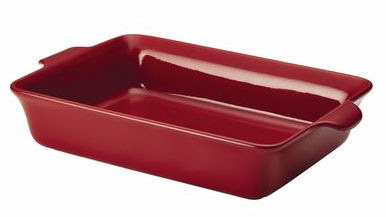 The color is stunning and the handles are really nice. They curve under just a bit, which makes them much easier to hang onto, even while I was wearing mitts. Besides the giveaway I'm doing, Anolon is having their own giveaways, so be sure to stalk them during this entire promotion - I don't know exactly what they're up to, but I'm sure it will be awesome. They've got very useful products. Sturdy. And also very pretty. A pleasure to use in the kitchen. You saw the APPLE PIE last week, right? This is the one I used for this week's post! The giveaway will end on December 26 at midnight, mountain time. US winners only. The giveaway widget will post with each week's recipe, and I will add NEW ways to enter each week related to the week's new post, like new tweets and new pins. So make sure you come back every week and see what I've made, and ENTER TO WIN! If you already entered to win last week, there are THREE new entries - a comment request, tweet, and pin added that are related to this week's post.